The Northern Free State Griffons (known as the Down Touch Griffons for sponsorship reasons) are a South African rugby union team that participates in the annual Currie Cup and Vodacom Cup tournaments. They play out of Welkom at The HT Pelatona Stadium, and draw players from roughly the eastern third of Free State Province (the remainder of the province comprises the territory of the Free State Cheetahs). Players from the Griffons are eligible for selection to the Vodacom Cheetahs Super Rugby team, along with players from the Free State Cheetahs and Griquas. The team currently plays in the First Division of the Currie Cup, attracting crowds of around 4,000 to home games in at North West Stadium in Welkom. Their traditional rivals are the Free State Cheetahs and North West Province Leopards. 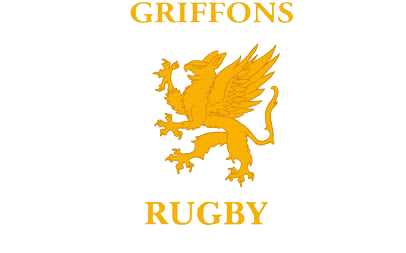 The Griffons rugby union was formed in 1968 when the late Dr Danie Craven, the president of SA rugby, had a vision to try and spread the game to rural areas in South Africa. The Griffons were one of four new provinces formed, originally known as Northern Free State (or Noord Vrystaat in Afrikaans). In 1996, with the start of professional rugby, the then South African rugby football union, under Louis Luyt, decided to re-divide the unions to have only 14 provinces in South Africa, with Northern Free State being one. The Eastern Free State province was incorporated into Northern Free State. In 1999, Northern Free State changed their name to the Griffons.